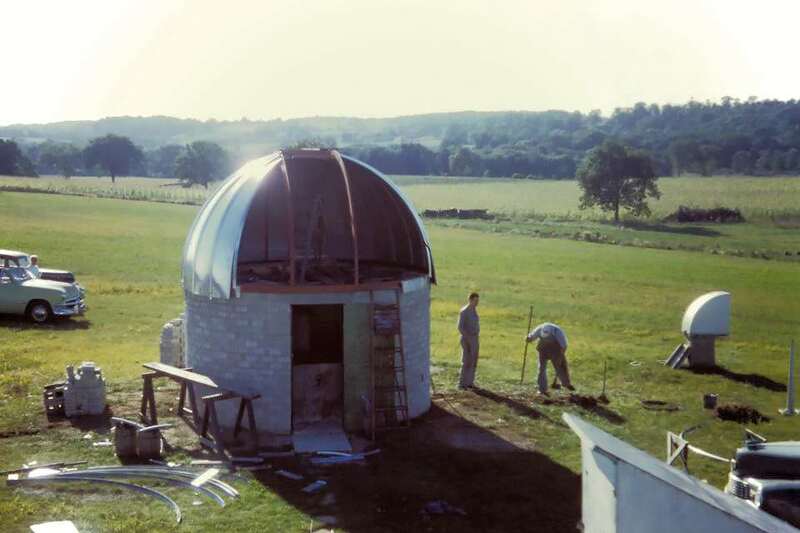 The highlights of this period are the construction of the B-Dome, addition of the Quonset, and the conversion of the Monastery to the Satellite Shed as the MAS became heavily involved in Project Moonwatch. 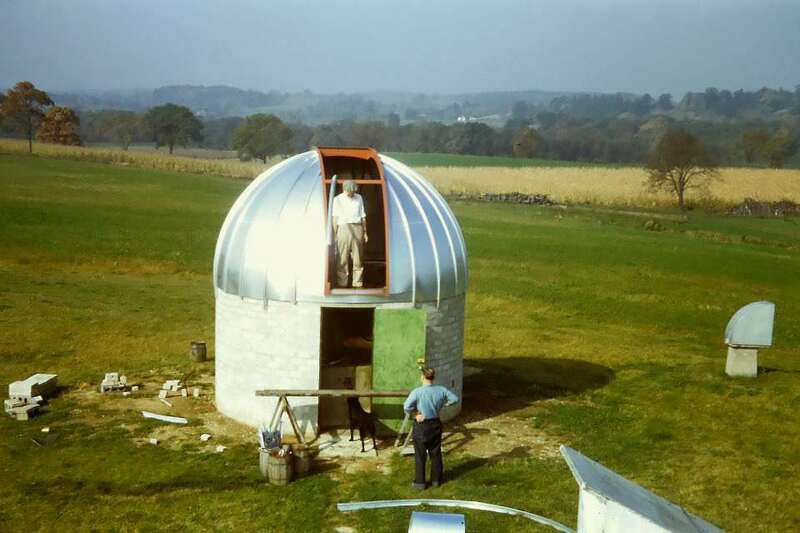 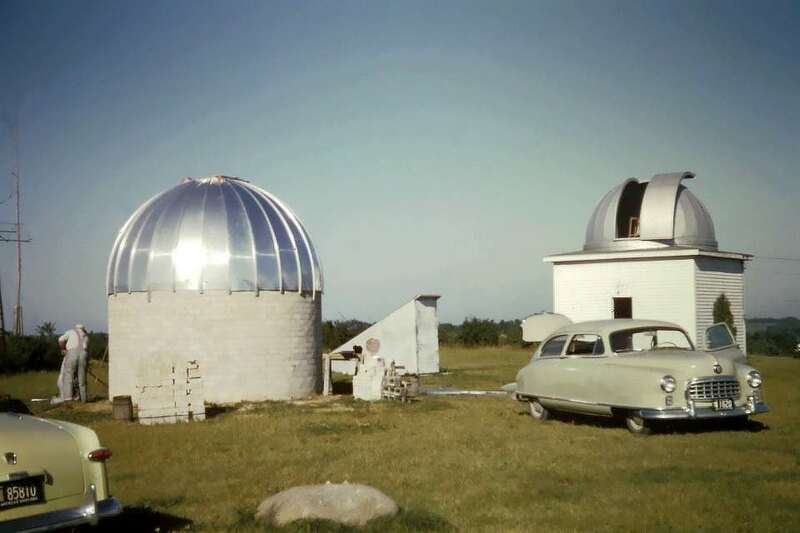 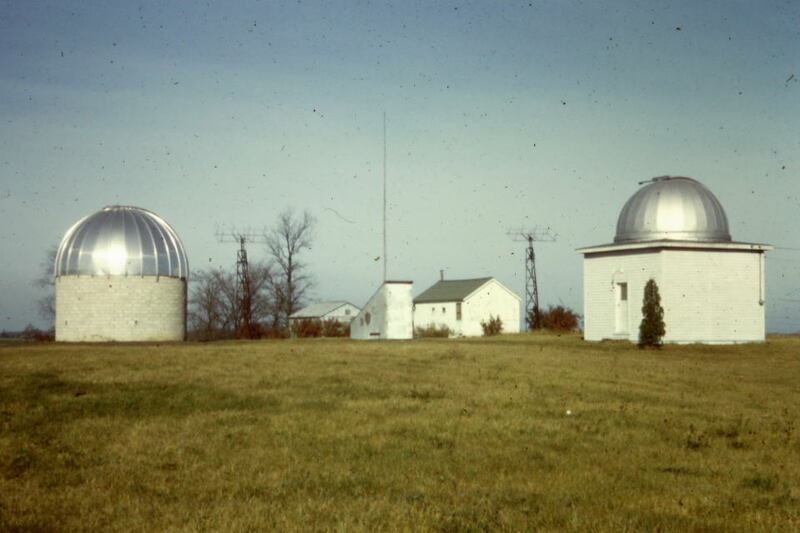 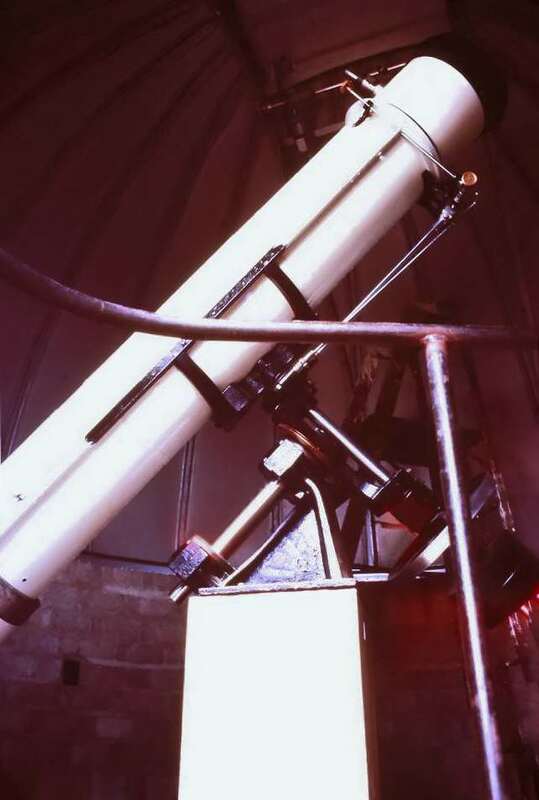 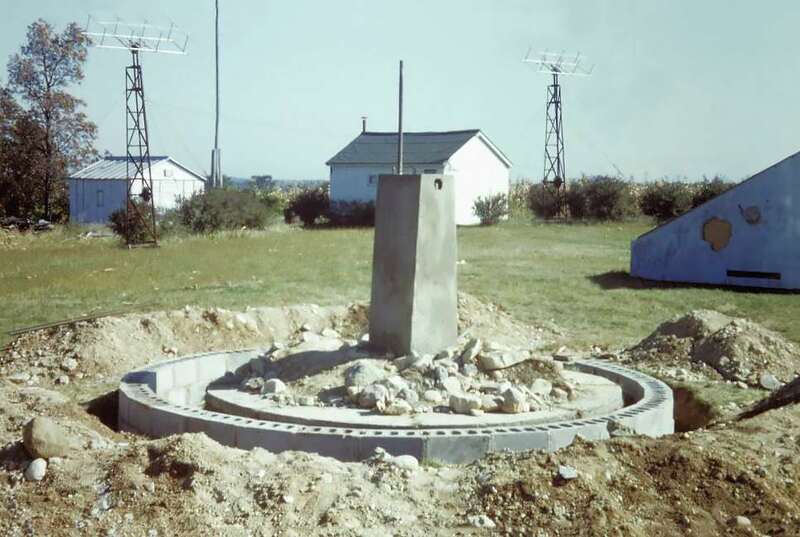 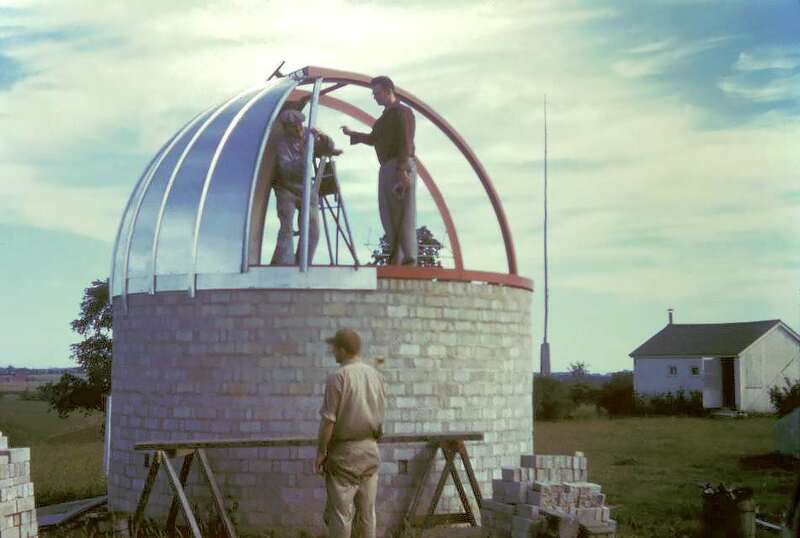 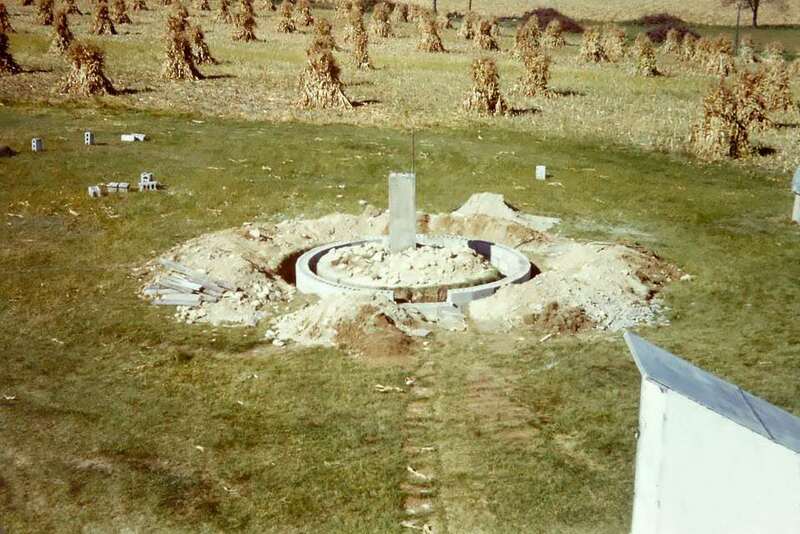 MAS Grounds in 1951 B-Scope shortly after its installation in the Buckstaff Observatory in 1951. 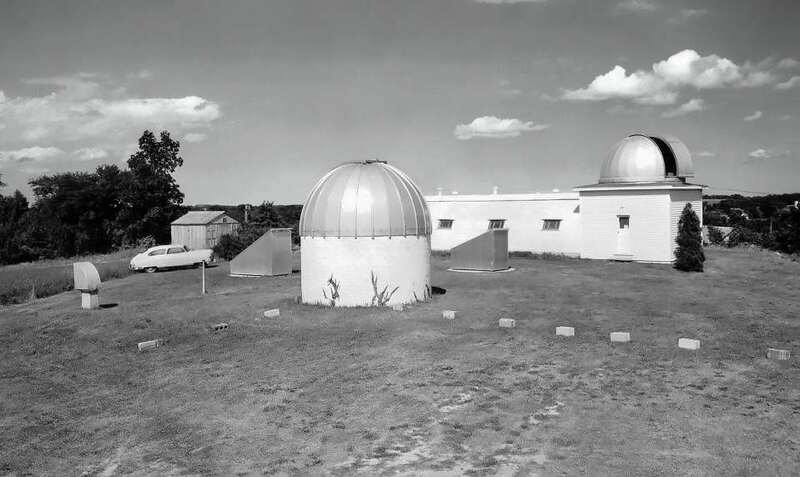 Observatory grounds in 1955 shortly after the addition of the Quonset. 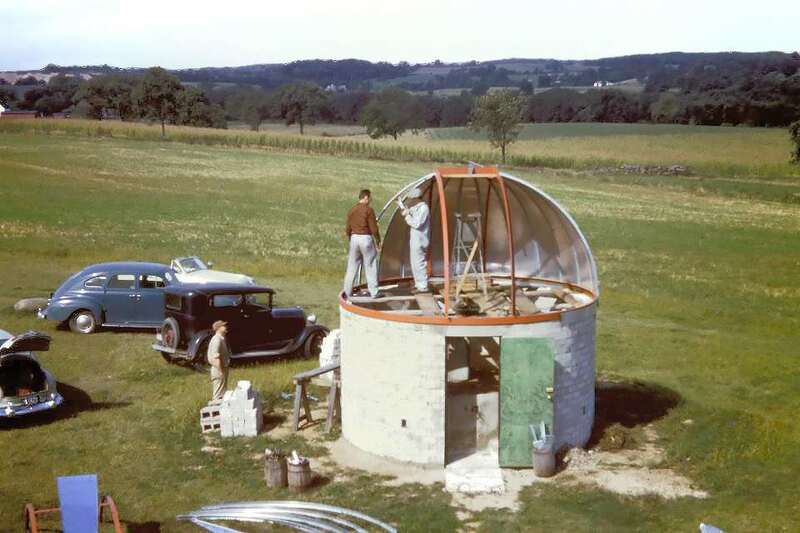 A-Scope, 1953. 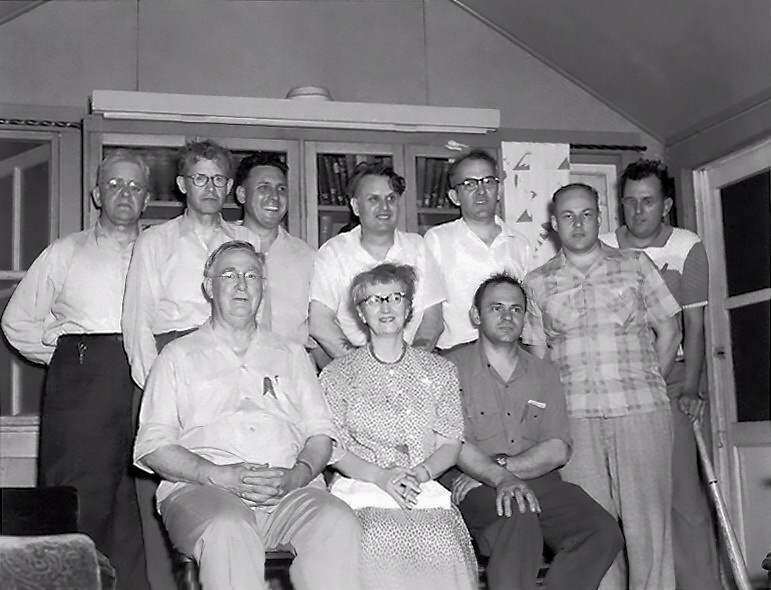 Top: Ed Halbach, L. Glendenning, H. Cornell, W. Konig, and D. Knaup. 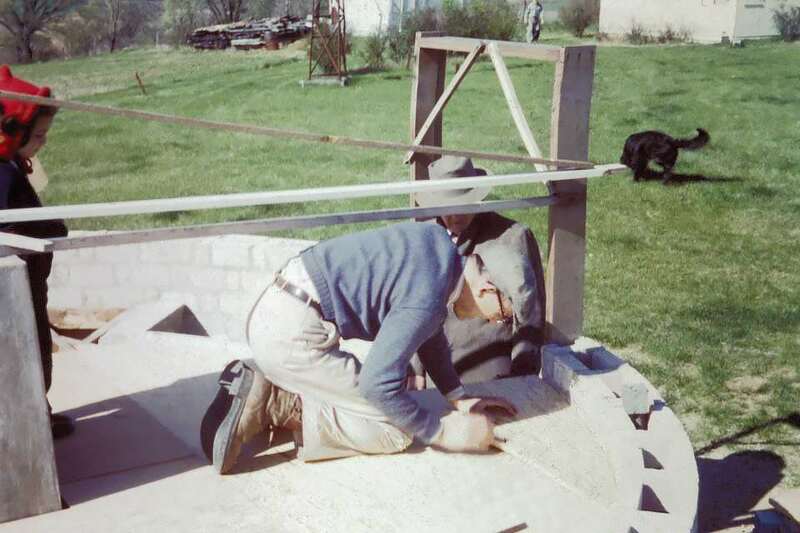 Bottom: Wl Albrecht and J. Neff. 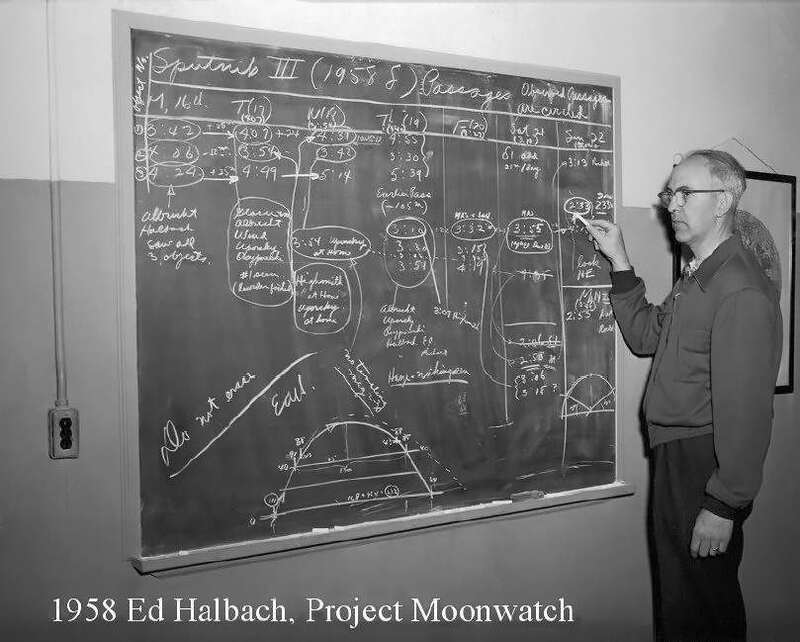 Ed Halbach at the chalkboard in the Quonset. 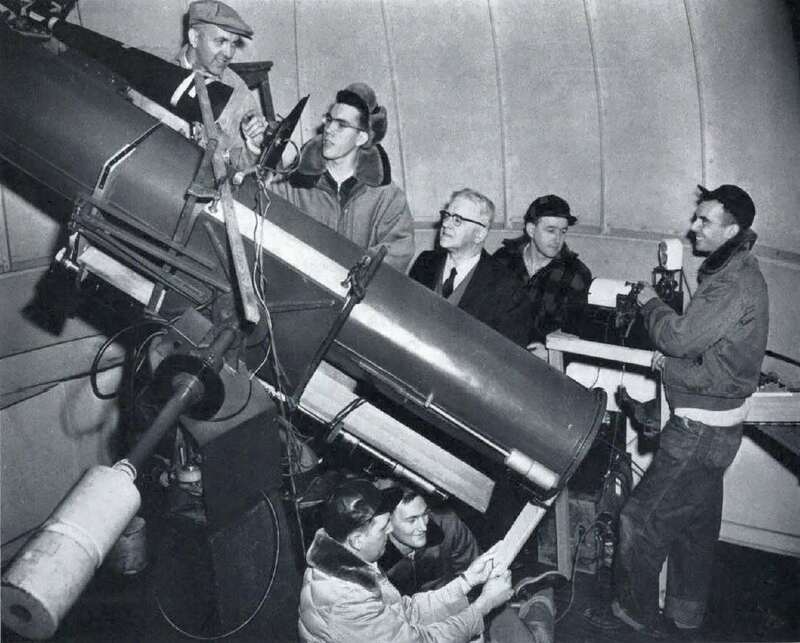 Project Moonwatch, 1958. 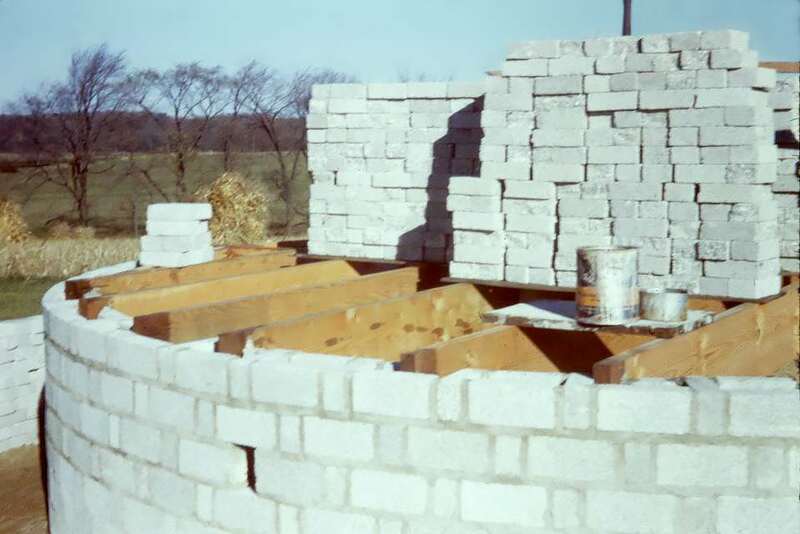 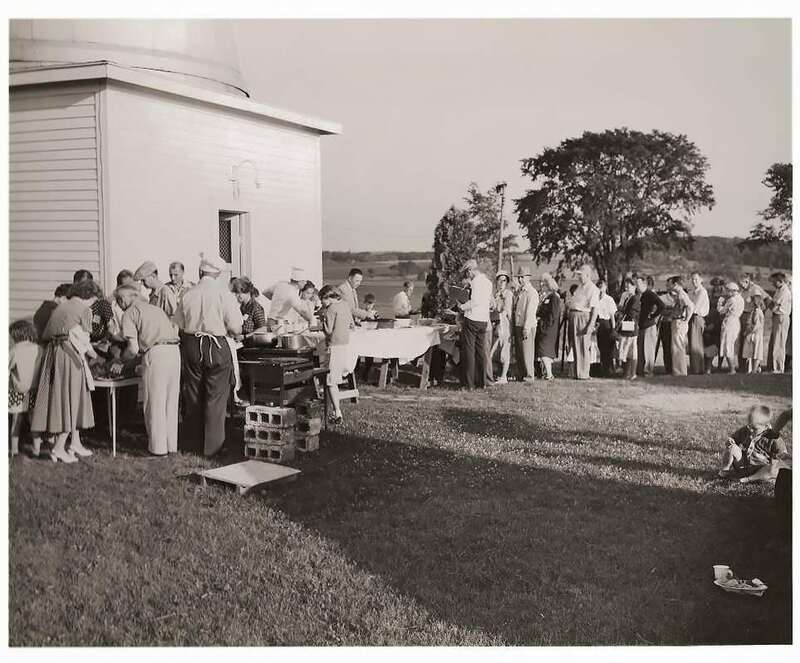 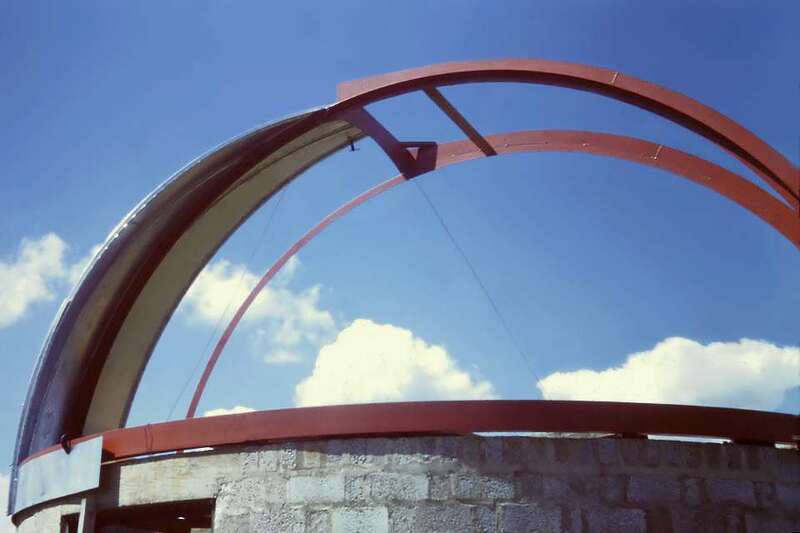 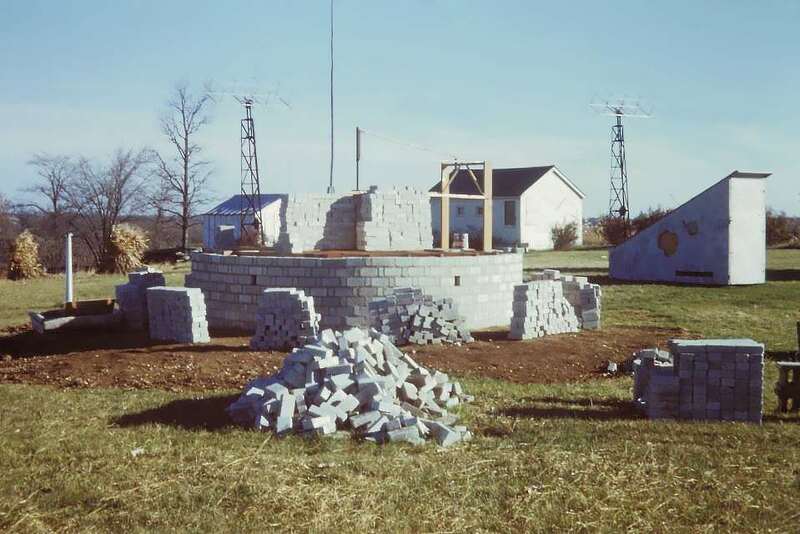 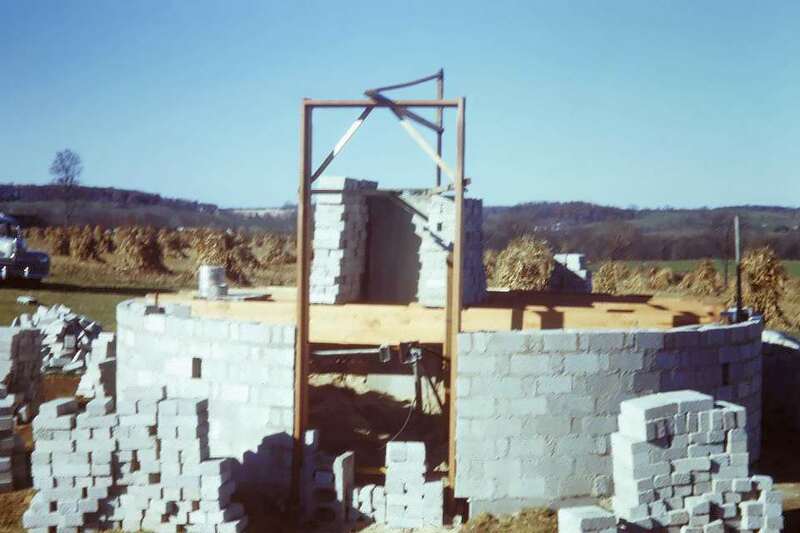 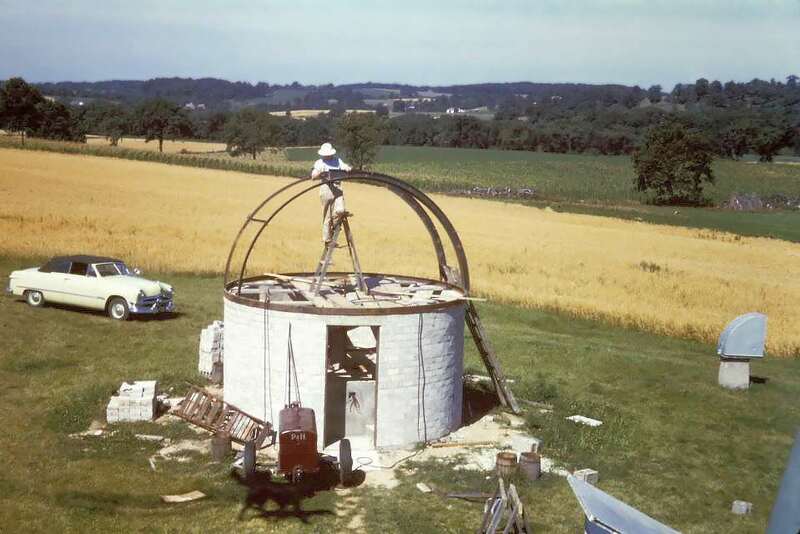 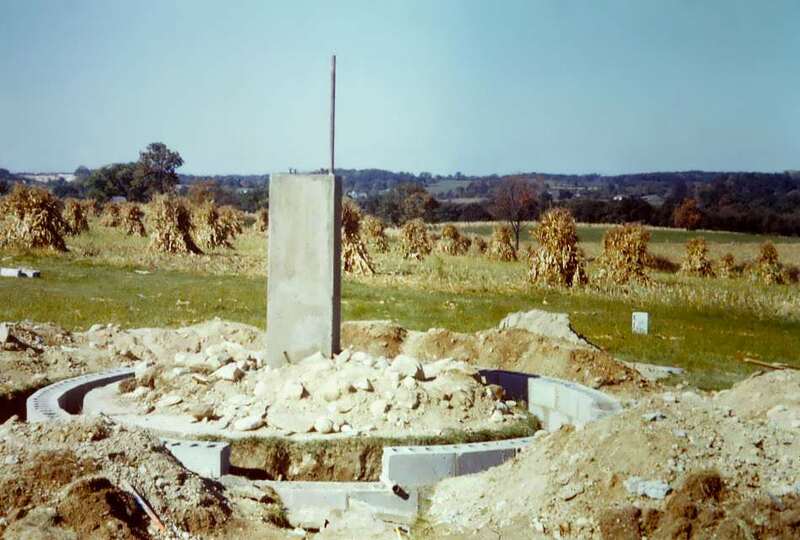 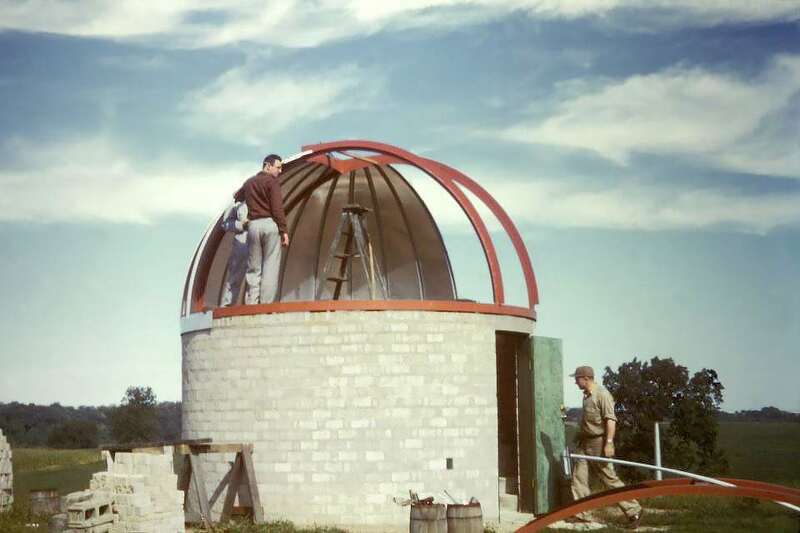 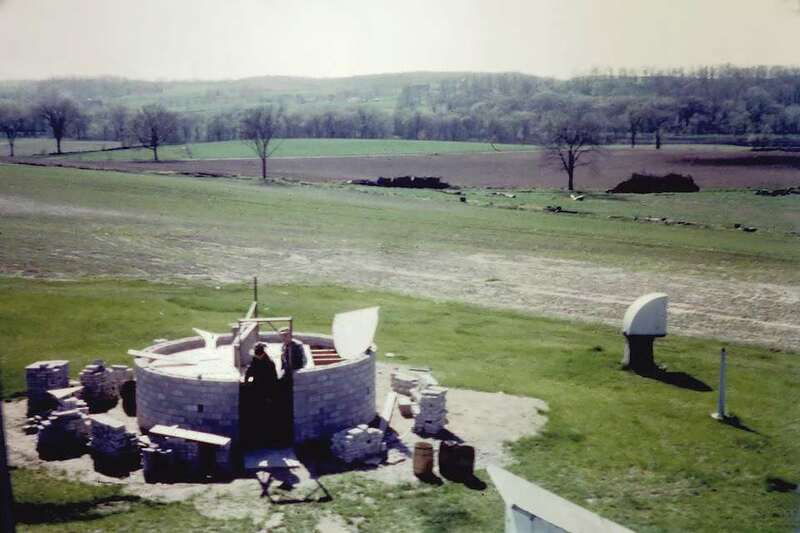 Pictures from 1950-51 of the construction of the Buckstaff Observatory.